Don ca tai tu is an indispensable part of the spiritual activity and cultural heritage of the people of southern Viet Nam. Don ca tai tu is a typical South folk art, formed and developed since the late 19th century on the basis of ritual music, Hue royal court music and folk literature. Therefore, Don ca tai tu has both the quality and the scientific. Song Loan, or Song Lang, is a musical instrument that belong to brand “knock” resound itself of Vietnamese / Kinh type. It is a small wooden bell made of hard wood with circular and flat shape. It is the smallest instrument. A piece of wood is not as large as the mouth of cup with diameter 7 centimeters, and height of 4 centimeters, it is cut into the body about 1/3 to quit the sound. There is a strike rod to make a regular sound. Song Loan is used to keep rhythm, not tio solo. Song loan is used to keep rhythm in Tai tu Nam Bo, in cai luong orchestra and in ca Hue. Dan Sen (two-string lute) is a Vietnamese plucked string instrument with two strings and a slender neck with raised frets. It is derived from the Chinese “ qinqin” and is used primarily in the traditional music of southern Vietnam. 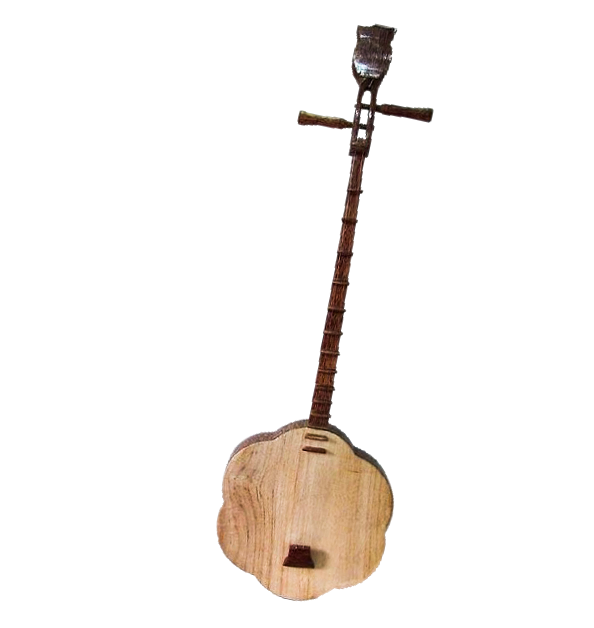 The distinctive and unique feature of the two-string lute is that it is shaped like a flat box resonator shaped like a six-bladed flower. The timbre of this lute is bright, smooth and nearly close to the Moon lute. The two-stringed fiddle also called dan co, is a bowed string instrument with two strings, popular in all parts of the country. Its sound is vibrate, soft, the timbre is very beautiful, and emotive. The technique of playing has special fingers such as finger “luyen”, finger “vuot”, finger “nhan”, finger “rung”, and the way to play “ gan noi’, “gan chim”, create a diverse and attractive music. The two-stringed fiddle use to solo in many traditional orchestras such as “Phuong bat am”, Nha nhac orchestra, Tai tu band, Tuong, cheo, cai luong orchestra. 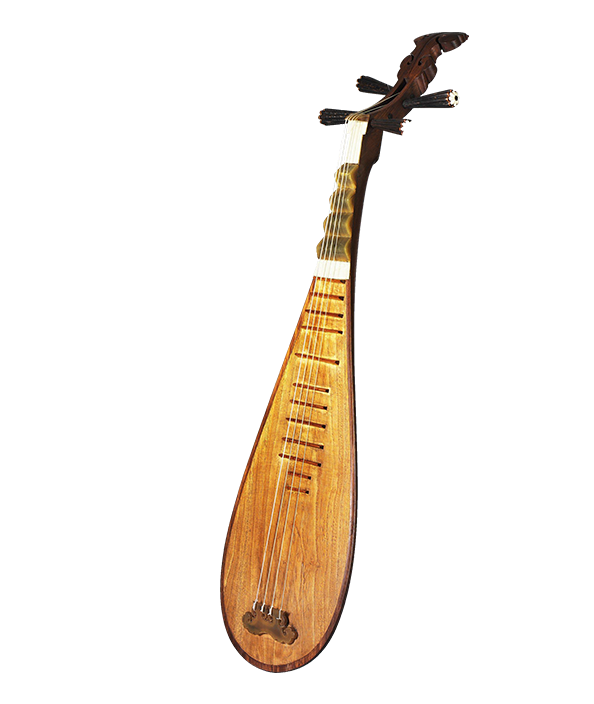 Dan Bau, or Doc Huyen Cam (Gourd lute or monochord zither), is a Vietnamese stringed instrument, in the form of a monochord (one-string) zither. The monochord has only one string but can play on a nearly three octave scale with sweet, seductive accents. “Dan Bau” is a very popular stringed instrument both at home and abroad because of its unique characteristics, softness and deep inspiration. This instrument is used for solo, orchestras, accompaniment for singing and recitation. 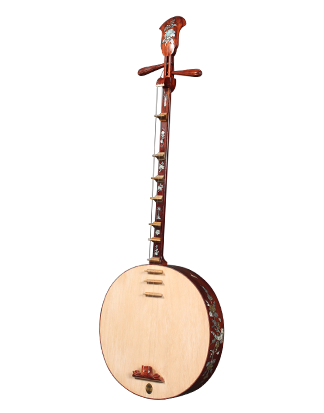 The pear-shaped lute is a very popular plucked string instrument in Vietnam. The instrument is often played solo the traditional works; its solo ability is varied. It is also a member of many traditional orchestras such as the Tai Tu band, the Hue royal court orchestra, the Cai Luong orchestra, the Ethnic Minority Orchestra and the National Symphony Orchestra. The pear-shaped lute’s timbre is bright, joyful and lyrical. Flute has usually cylindrical shape like bamboo flute but it must be played for vertical and blown along the tube. Like bamboo flute, the flute is also made of bamboo. The flute is usually larger and longer than bamboo flute, so the sound is bass, more melodious, and lyrical in accordance with deep and gentle sentiment.